Lorne Dechtenberg is different. That’s about the only way to put it. He can’t help it – it’s in his genes. His great-great-grandfather (an accomplished singer, composer, and conductor) was hand-picked to serve as Chief Musician under Russia’s final czar. And the younger Dechtenberg is proof that, sometimes, the apple doesn’t fall far from the tree. 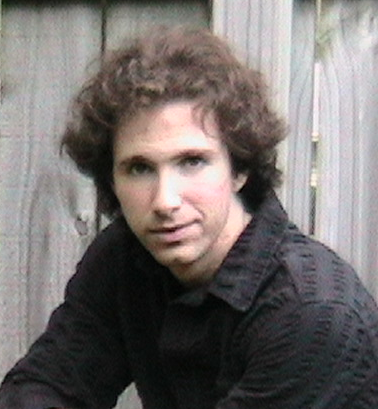 As a young composer, he received awards from the Florida Vocal Association, the Louisa Stude Sarofim Foundation, and the SCI/ASCAP Annual Commission contest, as well as several academic awards. Later, Dechtenberg and his Honeymoon Symphony were chronicled in the PBS documentary Composer at Work. His works, published by Kiss on Ellipse Music (BMI), have been performed across the U.S. and Europe, and the original cast album of his oratorio King of Glory has been released globally via iTunes, Amazon, and other online outlets. While he is in demand as a performer, he continues to accept commissions, composing music for stage and screen productions, orchestras, bands, and houses of worship. As a conductor, Dechtenberg has become known for his unparalleled energy on the podium. As the musical director of BgO, he has led the world premieres of over a dozen new stage works and conducted excerpts from many more. Although well-versed in the masterworks (he holds a D.M.A. and two M.M. degrees), Dechtenberg’s fearless “intent-based” approach to new works has made him a sought-after interpreter and an ideal collaborator for composers, singers, and instrumentalists alike. But before Dechtenberg was ever exposed to Classical music, he was already a veteran singer-actor and songwriter, having appeared on hundreds of stages before the age of 18. He made music with such icons as the late Clarence Clemons (of the E Street Band), David Dickey (of the band America), and scores of other artists, and he was featured at events ranging from fundraising galas and festivals to Academy Awards pre-show concerts. He is currently Musician-in-Residence at Temple Adath Israel in Lexington, and his original Jewish music, besides being used there, has also been picked up by other congregations around the country. Dechtenberg is represented internationally by Upbeat Arts. Rachel Lee Rogers, a native of Versailles, Kentucky, currently tours the state of Kentucky with Damsel with a Dulcimer, a Kentucky Humanities production about the life and mountain music of folksinger Jean Ritchie. She most recently served as Artistic Director for Balagula Theatre, a Lexington non-profit (2007) performing organization producing since 2003. Having recently guided Balagula Theatre through administrative changes and increased its viability as a producing Lexington arts entity, Ms. Rogers has considerable experience not only as an artist on an international, national, regional, and local level, but as an arts administrator and producer in the Lexington community. Ms. Rogers completed her undergraduate studies at Northern Kentucky University. She holds degrees in Theatre (with emphases in Acting and Arts Administration) and English Literature (with emphases in Shakespearean Studies and Writing). Graduate and post-graduate study include Meisner training at Rutgers University under Deborah Hedwall and Uta Hagen technique under Billy Cardin as well as certification in Jacobean and Shakespearean Styles from the London Academy of Music and Dramatic Arts. Founder of the New Jersey company Shaking Will, which specialized in unique interpretations of classic material, Rogers has functioned professionally in almost all aspects of the theatre, having been employed as an Actor, Vocalist, Artistic Director, Director, Choreographer, Sound/Costume/Prop Designer, and Box Office Manager. Her Kentucky credits include work for Balagula Theatre, Actors Guild of Lexington, ActOut, the Lexington Shakespeare Festival and SummerFest, Studio Players, West T. Hill Theatre, Northern Kentucky Dinner Theatre, On The Verge, Woodford Theatre, Lexington Children’s Theatre, and The Bluegrass Opera. 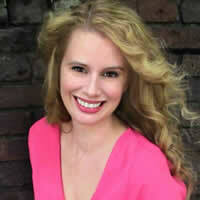 Active in the film community, Ms. Rogers recently completed the independent film Blinded Love with Catapult Studios. Ms. Rogers is an arts educator/administrator responsible for the creation and/or implemention of theatre programming for both Lexington and National Homeschool Associations, the School for the Creative and Performing Arts, and the Carnegie Center. She is also a private acting coach.